I like my seat. It’s safe. It’s warm. And in a room of over 300 people, I blend in well. When I attended my first FLBlogCon in 2013 as a blogging newbie, I would have never dreamed that I would one day be presenting. Public speaking is not a phrase in Christie’s vocabulary. But 2 years and a heck of a lot of learning later, I found myself standing, sweating, and shaking in a room of bloggers. 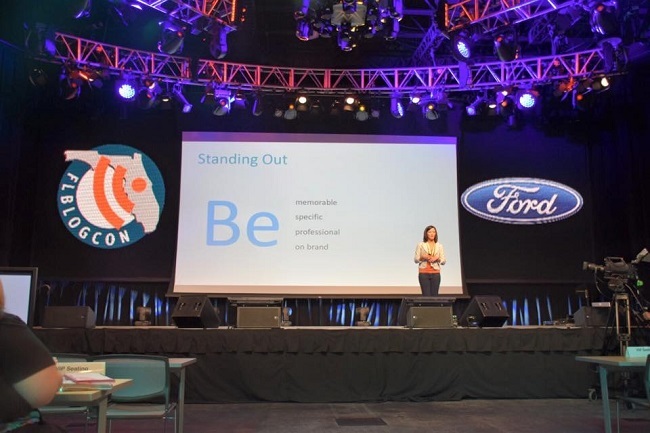 This is my FLBlogCon Recap 2015 and 11 things I learned as a speaker. You know that old saying where people are more afraid of public speaking than death? Yes, that’s me. I have know for probably over a year that I was to present at FLBlogCon. In fact, I was asked to speak for 2014 and had to turn it down due to my attendance at another conference (darn!). With over a year to kill, I was probably one of the most insane worrisome people ever. Always at the back of my mind. Always looking doom above my head. I was living the anticipation nightmare. So. Not. Fun. Waiting to speak was probably one of the most harrowing experiences ever. You couldn’t shake the feeling of gloom and doom day in and day out. So the last time I had to use PowerPoint was college….maybe. And back then it was so cool to use 15 different sound effects and bullet points and slide transitions. Fast forward to 2015, I felt like I was using a Mac after having Windows all of my life. Thank goodness for friends in high places (Google presenter qualifies I think). I needed a crash course in PowerPoint for dummies. At least 7 days before. Just a week before FLBlogCon, and the mindset of speaking really set in. And where was I? On a marriage retreat with my husband…no joke. And while I should have been 100% focused on my marriage and building a relationship, I was going bat crazy with my husband over a speech. Ask him, I was pretty nightmare-ish to deal with. But if anything was to be a TRUE test of marriage, surviving my mental breakdown for the anticipation of FLBlogCon was it. And hey if we can survive that hurricane, then surely another 50 years of marriage is no problem. My blogging journey has not been the easiest, especially for my husband. It’s taken many years and many talks for him to finally see how much I love what I do. There was often sarcasm and criticism attached to any comment he had about my blog, but this presentation proved to be a game changer. I got to finally feel firsthand how much my husband supports my blogging career. He sat patiently and listened to me mess up for the 114th time as I practiced in our marriage conference hotel room. He encouraged me when I was beyond frustrated and plotting my escape route. He even set up a “practice run” presentation at his work with his co-workers so I could calm nerves and get feedback. I mean, true love here folks! And when the day came, he texted me how proud he was and how much he loved me. I never wore a Brittany Spears microphone headset before. I never held a presentation clicky button thing in my hand. I never stood in front of an audience of strangers while wearing a full on blazer under ridiculously hot stage lights. My knees knocked. My hands shook. I felt like I was sweating like an NBA player. I located my nearest exit in case I needed a fast getaway. And as the mantra of “don’t fall flat on your face or have a constipated look” was on replay all 30 minutes on stage, I willed myself to speak. But in 30 minutes it was over. I have climbed mountains, danced recitals and ran miles and miles. But none of those events compared to speaking 30 minutes straight. I was a blob of speaker goo. Exhausted as having ran a full on marathon, I think I could have passed out as soon as my presentation was over. A whole year’s worth of stress and anticipation and preparation finally done, I was so exhausted from the experience. How did the presentation go? In my mind it was completely awful. I stuttered. I forgot my lines. I had “DUH” written across my forehead. And I know there were some “constipated looks” captured…dreadfully on the FLBlogCon Facebook page. I am my own worst critic from beginning to end. I probably will always think about of my mistakes and how I could have made it better. But it’s that factor that drives me to my next goal. I’ve just conquered my first ever blogger presentation. Now onto the next goal. Whoever speaks at a conference on a yearly, monthly, weekly, daily basis, I applaud you. Whether you revel in the moment or have a complete nervous breakdown beforehand, you are amazing. To speak and be a speaker is hard work. And it takes patience, confidence and perseverance to accomplish. No small feat. So did Bess Auer. But what I hadn’t realized was how much potential she saw in me. To her, I wasn’t a risk. I was a reward. And she knew exactly what she was doing. Initially, she lured me with a panel discussion. Then slowly moved to a full presentation. Then perhaps “forgot” to tell me I was in the main room. Oh and the icing on the cake of being live webcasted. But had I known this up front, you can bet your Benjamins I would have turned her down flat. Columbus took a risk and found America. I took a risk and found confidence I never knew existed. We both won. This was one of the hardest things I had to learn. I didn’t feel like an expert. I didn’t have any awards or books or TV experience. I didn’t feel like I had anything that people could learn from. I thought that there were so many other bloggers that should have been talking about my topic. I have something worth sharing. And not just on a page, sitting in front of a computer. I have a voice, a real one with vocal cords and everything. It was validating as a blogger to get up on a stage, share the knowledge I have learned over the past 4 years and just tell my story. How even more validating to get questions at the end (hey, some people paid attention! ), be approached after the conference, be highlighted in other people’s recaps, and even get emails after. And NO hate tweets! If you had asked me in 2013 if I would have ever spoken at a blog conference I would have laughed at you…hard. “I am NOT a speaker.” I’m sure that I would have told you that. 2 years later I have just accomplished one of my biggest fears as a blogger. Speaking on stage. I took a risk and stepped out of my comfort zone. It was a long journey for sure, but definitely worthwhile. I am a speaker. 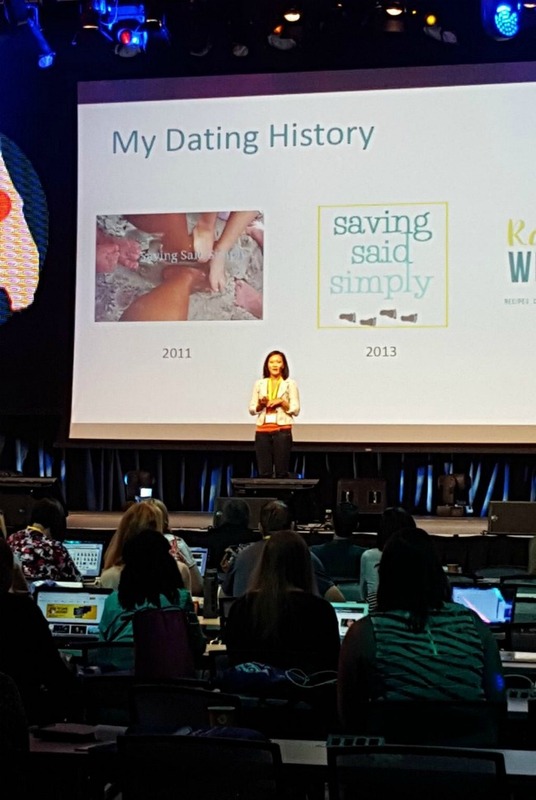 Clumsy, awkward, little me just spoke in front of a bunch of people at FlBlogCon. And now, I’m making bigger goals. Hoping for TV in the next year. Maybe a book down the road. Hoping to keep on sharing my experience, learn and grow. 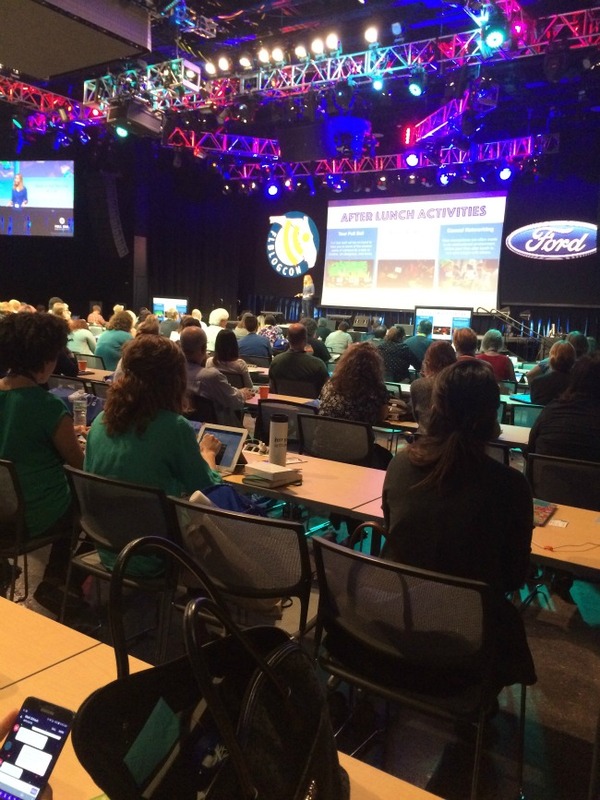 I just spoke at 2015 FLBlogCon….and I definitely earned a trip to Disney World. 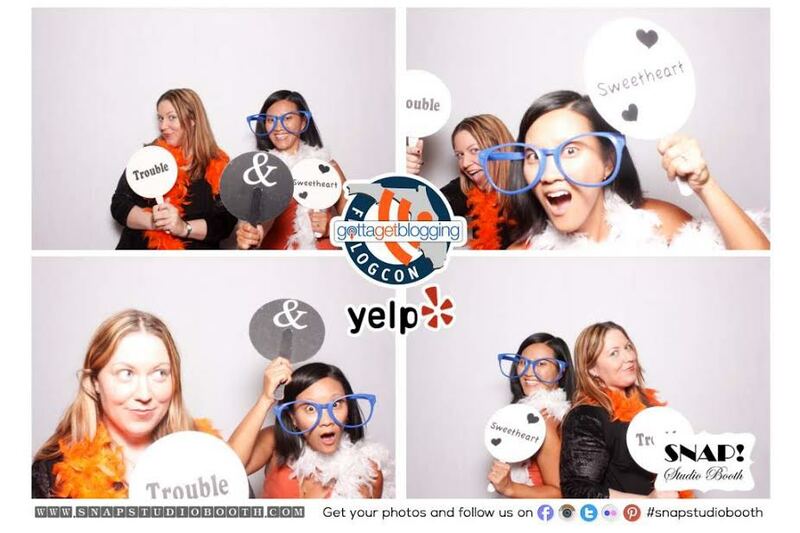 Did you attend FLBlogCon 2015? Have you ever been a speaker at a blog conference? Be sure to follow Raising Whasians via Facebook, Twitter, Google, Instagram, Pinterest and YouTube for of my personal thoughts, crafts, recipes and more. As I believe I said in a tweet, I would have never known this was your first time. You appeared to be a pro! Your presentation was great! Thanks for attending my session, Tim! You knocked it out of the park! So glad you agreed to speak! Thanks for pushing me past my boundaries of what’s safe and into what I could be, Bess! That is amazing! I’m so impressed and I wasn’t even there. You got this. As a teacher by trade I want to do this but just thinking about it makes me wanna toss my cookies. I know I would have been having a year just like you. It would have been all I thought about and I would have been a freaked out mess. Congrats on making that step! Hope your time comes soon! 🙂 You got this! Definitely pushed my comfort zone, thanks Sue! I want to be you when I grow up!! I know that was a great experience. I thought you did great! I can imagine what it’s like to be in front of that many people up on a stage!